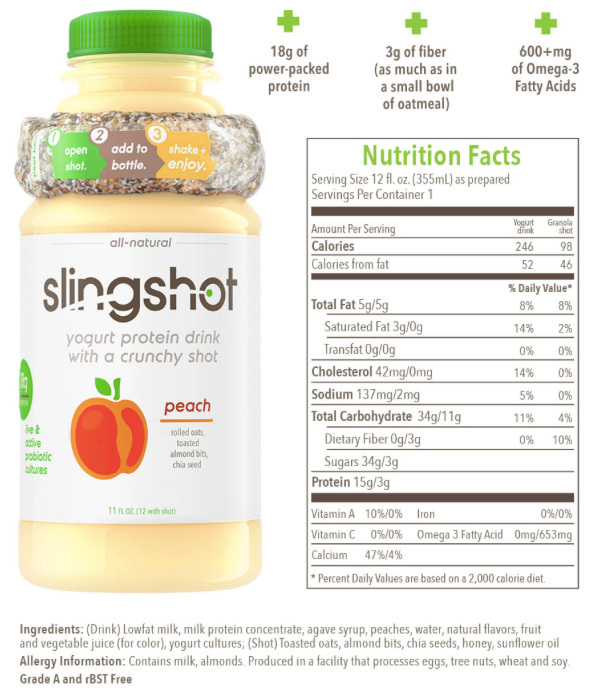 On packaging based impulse buys at the supermarket… was intrigued by this Slingshot “Yogurt protein drink with a crunchy shot”. 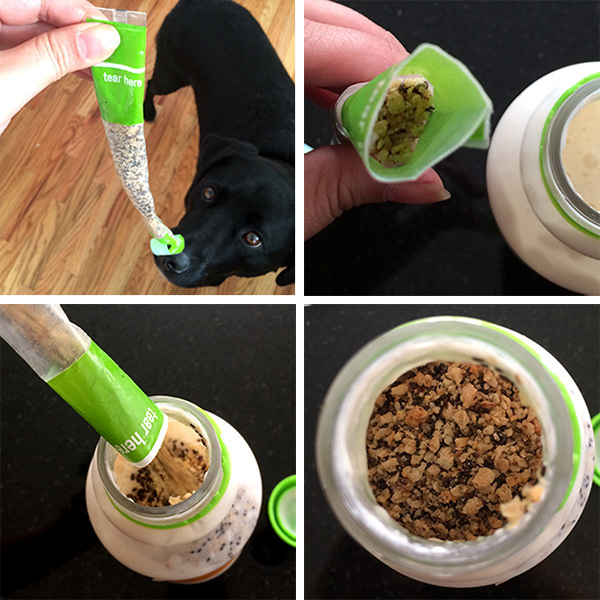 The strange ring around the neck of the bottle is filled with toasted oats, chia seeds, and almond bits . 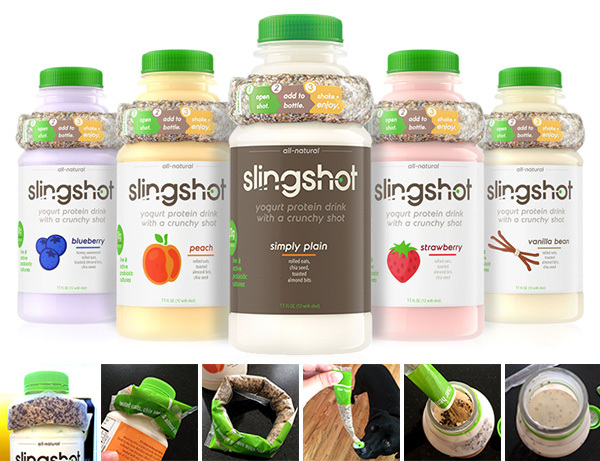 It’s like a Yo Crunch in drink form (before YoCrunch apparently turned into candy/cereal/super sugary branded mix ins?). I tried the peach flavor which was pretty bleh - but the packaging is most intriguing! See details on the next page. 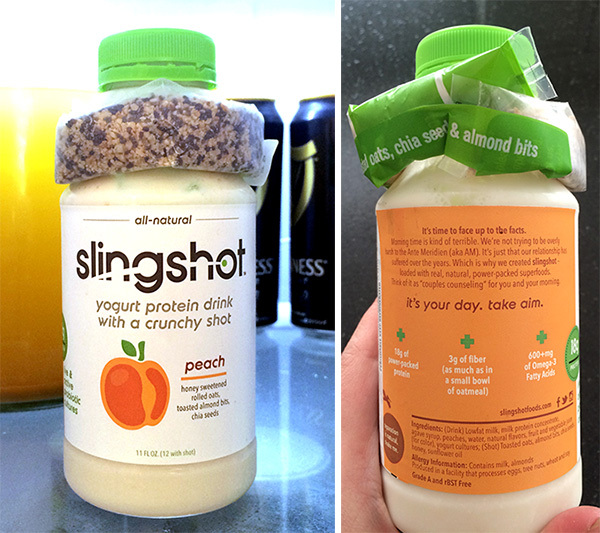 Here’s Slingshot “Yogurt protein drink with a crunchy shot” in real life! … and the press shot with nutritional details. As i shook the tube of protein shot to get it settled enough to not spill all over when tearing it open - Bucky seemed to get really interested. Next step was to shake it up! Then chug… or sip and chew it. Not bad, but nothing too exciting. And as much as you shake, it seems like a lot of the bits stick to the inside of the bottle. 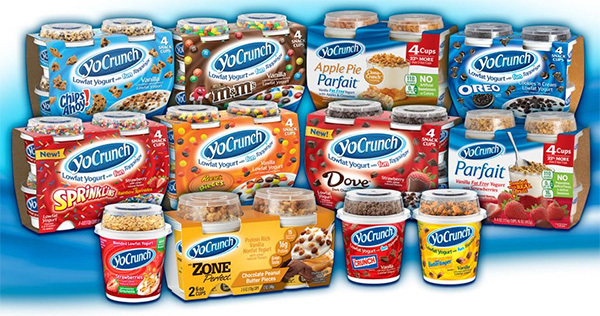 What ever happened to simple Yo Crunch’s simple yogurts with granola on top? 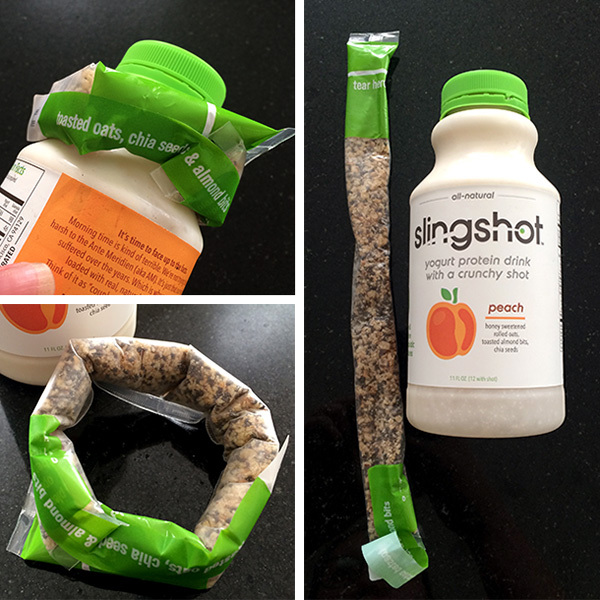 Love Slingshot, BUT just opened one, licked the inside of the cap and found that it was FULl OF MOLD! Ewwwwww. Exchanged it for another, mold-free bottle and I’ll always check the cap from now on….